The main question that you need to be able to write about on this topic is simply: why did Stalin win the power struggle that followed the incapacitation and death of Lenin? Past questions have asked why Stalin won “so easily” (June 2013), why his opponents “were unable to prevent him from becoming the leader of the USSR” (June 2012), and about the role of the “personalities of the contenders” in accounting for Stalin’s victory (January 2010). There has been one rather harder question (January 2011) which asks WHY there was a power struggle at all, with reference to the debate about the NEP, but my notes will focus on the simple question: why did Stalin win? The examiners won’t expect you to write about any other individuals (although for completeness you might also care to investigate Alexei Rykov and Mikhail Tomsky, the other members of the post-Lenin Politburo). You need to know something about their personalities and their roles and powerbases in the party and state. I am not going to cover this here – find it out for yourself. You also need to know where each of them stood on the left-right spectrum within the party. the Left desired rapid industrialisation and collectivisation of agriculture: in other words, the abandonment of the NEP. Prioritisation of world revolution (particularly by Trotsky) and criticism of the bureaucratisation of the party were also concerns of the left, but the NEP is the main issue. 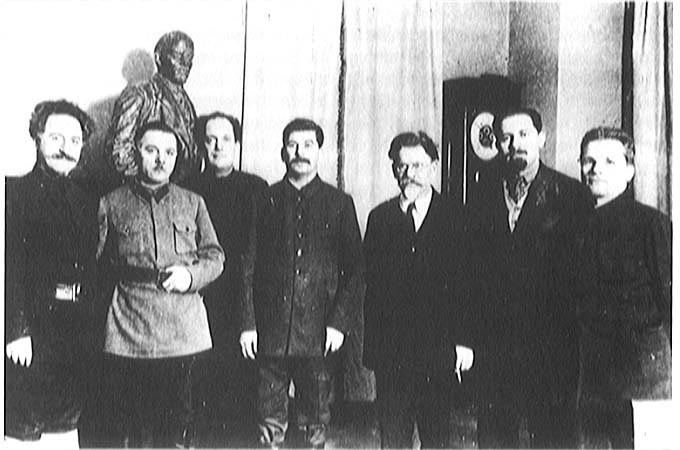 Trotsky, Zinoviev and Kamenev all stood on the Left of the party. the Right conversely supported the continuation of NEP and the maintenance of the alliance (“smychka”) with the peasantry which this entailed – even at the cost of a slow pace of industrialisation (socialism “at snail’s pace”, as Bukharin put it). Alongside this, Stalin formulated the idea (soon adopted also by Bukharin) of “socialism in one country” – that the Soviet Union should focus on internal development, seeking self-sufficiency as a fortress of socialism in a hostile world. Bukharin was the principle spokesman for the Right of the party throughout the 1920s. Looking ahead for a moment, the power struggle culminated with the adoption of the Stalinist synthesis of the Right policy of socialism in one country with the Left policy of rapid industrialisation. It was the implementation of this synthesis that defined Stalinism in the 1930s. To understand the left-right division you need to understand the framework against it was played out – Lenin’s New Economic Policy, introduced in 1921. The NEP permitted private ownership of small business, and permitted peasants to sell grain surpluses for profit. It succeeded in re-booting the Soviet economy from the catastrophic low point of 1921. By 1926, industrial output had recovered beyond the pre-war (1913) level, and grain production was not far behind. It was not evident, however, that industry could develop significantly beyond this level, and by 1927 serious economic problems were emerging, driven by the lack of grain being placed on the market for export – the only way in which the Soviet Union could generate significant capital to fund further industrialisation. Furthermore, industrial workers still experienced high levels of unemployment and poor living conditions. In summary, the NEP could be seen to be working effectively up to 1927, which strengthened the Right’s case for persisting with this policy. After 1927, economic developments appeared to support the Left position of breaking decisively with the NEP. Like anything in history, once you start looking at the power struggle in closer detail, the more complex it becomes. To answer exam questions, however, all you need is a relatively simple grasp of the sequence of events. 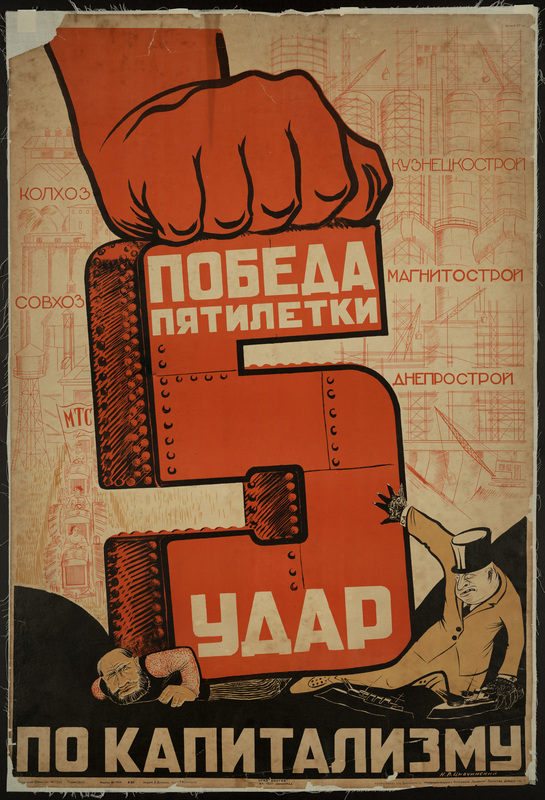 Stage three: 1928-29 – Stalin adopts the policies of the Left and defeats Bukharin and the Right, launching the first Five Year Plan and the collectivisation of agriculture. At this point Stalin can be said to have “won” the power struggle. His rivals had all been removed from the Politburo (and, in the case of Trotsky, from the country). 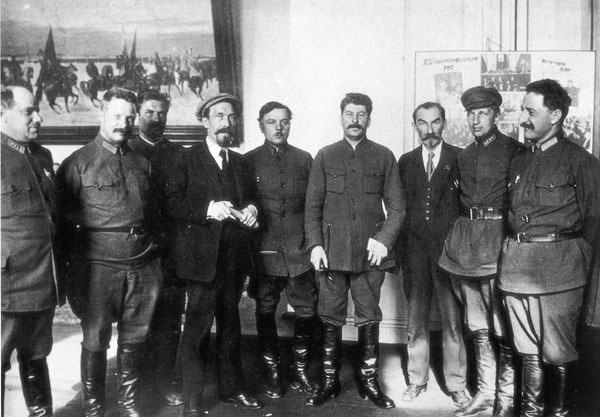 The Politburo was now packed with supporters of Stalin’s position – men like Kirov, Molotov, Kaganovich, Voroshilov. The Stalinist synthesis was now Soviet policy – socialism in one country + rapid industrialisation and collectivisation of agriculture. Stalin was politically skilful and cunning. He stayed in the background posing as a moderate peacemaker and practically minded administrator, so that no one realised he was a serious power player. Stalin outmanoeuvred his opponents, playing them off against each other and switching from Right to Left with utter cynicism. Stalin manipulated the legacy of Lenin to serve his interests, posing as Lenin’s heir and developing the concept of “Leninism” as an unchallengeable orthodoxy. Stalin used underhand tricks against his opponents. The most famous example is tricking Trotsky into missing Lenin’s funeral by informing him of the wrong date. Stalin was perceived as dull and mediocre – the “grey blur” in Sukhanov’s famous phrase. He was not seen as a threat until it was too late. 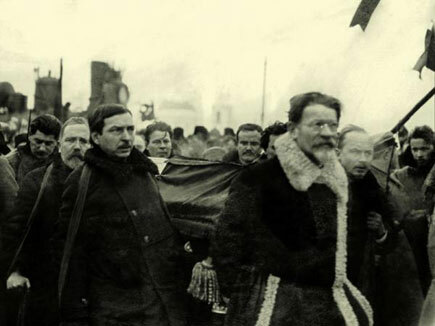 Trotsky was perceived as the real threat by the other leaders – he had only joined the Bolsheviks in August 1917 and his military role plus his arrogance and aloofness gave rise to (unfounded) fears that he might seek to establish a military dictatorship. 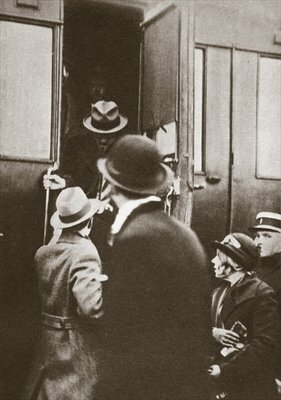 Trotsky lacked the ability and inclination for political intrigue. He did not work to build his power base or to make alliances. As E.H.Carr put it, “he made no attempt either to organise his friends or to divide his enemies…he had no talent for leadership among equals”. Zinoviev and Kamenev had a history of disloyalty and cowardice, having opposed Lenin over the October Revolution in 1917. Carr dismisses Zinoviev as an unsavoury careerist and describes Kamenev as bereft of any coherent goal. Bukharin was an able theoretician and was well-regarded in the party. However he was not at all adept at political manoeuvring, and he and his allies did not consolidate their support on the Right into an organised power bloc, nor capitalise on their advantages such as Bukharin’s key role in the press. The overall point I would make here is that Stalin was the only person who was playing a ruthless game of power politics and intrigue throughout the 1920s; it is thus not surprising that he won that game. This strand of explanation is liberal-individualist in its focus on the interplay between leading political personalities. It treats the power struggle as an exercise in individual politics that could equally well have taken place between senators in Republic Rome or lords at King’s Landing in A Game of Thrones. This line of argument takes as its starting point the nature of the Communist Party by 1924: a highly bureaucratic and hierarchical organisation whose membership had expanded greatly to enable it to function effectively as the government of the country, and whose members were no longer a small band of highly intellectualised revolutionaries. as head of the Orgburo he had the power to make appointments to lower positions in the party; this power of patronage enabled him to promote his friends and ensure he had supporters in key positions and at regional and local level. This enabled Stalin to win the decisive votes at Congress. Taking all these points together, the nature of the Communist Party in the 1920s, and Stalin’s roles within it, enabled him to build a substantial network of supporters throughout the Party and to ensure that his positions were always approved by Congress (the body that formally determined Party policy and elected the leadership). This meant that Stalin’s position was always the official Party line, and this meant that the deadly weapon of Lenin’s ban on factions could be used against his opponents. This argument can be situated within a longer-term narrative of the evolution of the Bolshevik party into a bureaucratised and undemocratic governmental institution in the years since 1917, forged particularly in the mindset of obedience and discipline by the experience of the desperate struggle for survival between 1918 and 1921, and increasingly populated (particularly following the Lenin Enrolment) by new and relatively uneducated members who sought straightforward pragmatic policies and leadership. It could be argued that this long-term structural evolution made the triumph of Stalin inevitable. This point could even be turned upon its head to argue that what happened in the 1920s was not so much the triumph of Stalin as an individual, but the triumph of the party bureaucracy. This is approximately the interpretation that Trotsky himself developed in exile in the 1930s. This line of argument takes the great debate about the future of the Soviet Union seriously, and sees the various positions taken by Stalin as being more substantive than the cynical facades for personal ambition that the “individualist” explanation might suggest. Stalin genuinely believed in the policy of socialism in one country. Stalin was a practical politician who supported NEP (and the Right) when it was working, and discarded it (and adopted Left policies) when it started to malfunction after 1927. Socialism in one country was popular within the party – it was a practical, realistic policy and it established an appealing new idea of Soviet nationalism. Similarly, abandoning the NEP had a lot of traction within the Party, where many hungered for a great new revolutionary project to replace the shabby compromises of the NEP. The argument here is that Stalin’s victory should be interpreted primarily as the victory of the “Stalinist synthesis” in policy, and that this can be seen as to some extent as being driven by pressure from below, from workers who opposed the NEP and from the new sub-elites within the party bureaucracy who supported socialism in one country. This can be linked to both the individual interpretation (Stalin had the wisdom to espouse the most desirable policies) and the structural interpretation (the “Stalinist synthesis” as the policy of the new bureaucratic caste). As ever – think carefully about all of these ideas, decide what you think is the most convincing explanation, and argue for this in your essays. Students naturally tend to focus most on the individual explanations, so make sure you can also discuss the structural and the ideological explanations, even if you do not agree with them. A final point, looking ahead to the 1930s: Stalin may have “won the power struggle” by 1929 but he was not unchallenged dictator. He had removed key rivals, filled the Politburo with his supporters, and got his way in terms of policy – but he still faced opposition and obstacles at points between 1929-34. We will consider these points more fully when investigating Stalinist politics in the 1930s and the Great Terror. This entry was posted in AS revision notes, Russia and tagged AS revision, history, Russia, Stalin, Trotsky, USSR by therationalcolonel. Bookmark the permalink.